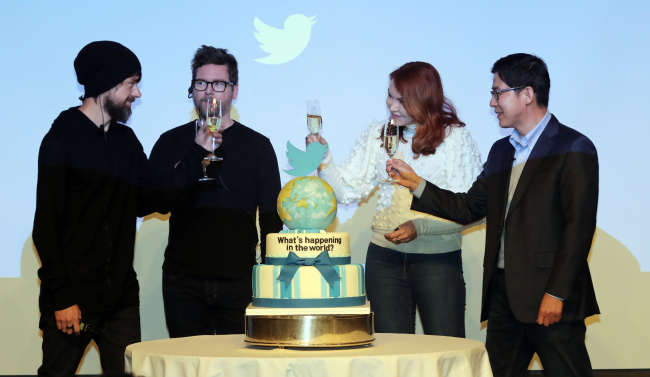 The Internet entrepreneur, who is in the country as part of his three-nation Asian "TweepTour," which includes visits to Singapore and Japan, also celebrated the company's 13th anniversary. "We want to focus on influence," said Dorsey, adding that some of the world's most influential people are responsible for driving the conversation. The American tycoon and Internet entrepreneur has recently been making various efforts to increase the health of public conversation, ensuring that more people join and use the platform every day. Twitter has tested new conversation features that could help more people understand and participate in complex conversations on the platform, the company said. The American entrepreneur cited the example of the "School MeToo" movement, which was the most tweeted social issue in the country last year. "(The) MeToo movement is something we are proud of ... people choosing Twitter to share their experiences," he said. The CEO -- who co-founded Twitter and who created and heads Square, a mobile payments company -- then highlighted Twitter's ongoing efforts to prevent people from abusing the platform, such as by spreading political misinformation. In South Korea, the former director of the National Intelligence Service was previously found guilty of ordering agents to post politically sensitive comments on Twitter. "(The goal of) public conversation is to promote healthy conversation," Dorsey said, adding that Twitter utilizes cutting-edge technology such as machine learning to minimize such spread of false information. A day earlier, he held a meeting with President Moon Jae-in to exchange his thoughts on communication and world peace. "It's important to hear from global leaders. ... Moon is a great example," he said. The entrepreneur mentioned that 5.3 billion tweets were created last year globally about K-pop. Some of the top 20 countries that tweeted the most about K-pop in 2018 include the United States and other major Asian countries, in addition to places in Africa. Twitter said it has collaborated with 34 K-pop bands and more than 200 artists to create content available exclusively on the platform, such as with BTS (@BTS_twt), EXO (@weareoneEXO) and GOT7 (@GOT7Official). The company also said a video by BTS was the most retweeted, being shared nine times more than 2018 Russia World Cup-related tweets. The CEO, who is scheduled to meet K-pop boy band GOT7 later in the day, said that the most interesting thing about Twitter is the "thinking process."